Taking a low-dose aspirin every day could bring more risks than health benefits to healthy older adults, according to three papers from a single study, published online September 16 by The New England Journal of Medicine. The study, which began in 2010, included more than 19,000 adults ages 65 and older in the United States and Australia, who were free of cardiovascular disease, dementia, or disability, and followed participants for 4.7 years on average. Researchers found that treatment with a daily low-dose aspirin did not prevent dementia or disability. And rates of cardiovascular events (such as heart attacks and stroke) were similar between participants who took low-dose aspirin therapy and the comparison group that did not. While health outcomes were largely the same, people in the aspirin group were more likely than those who were not taking daily aspirin to experience significant bleeding, both in the gastrointestinal tract and the brain — a known risk of aspirin therapy. 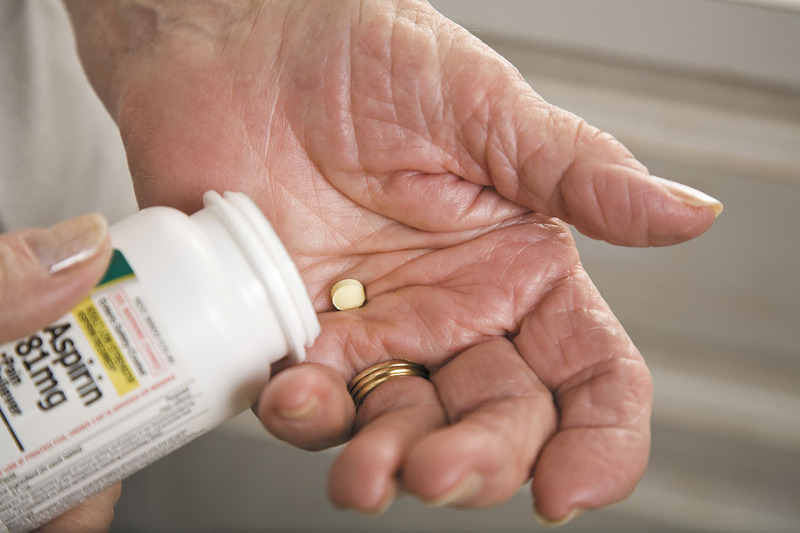 While low-dose aspirin does not appear to benefit healthy older adults, this does not apply to people with known cardiovascular disease. For them, aspirin therapy significantly decreases risk of heart attack and stroke.